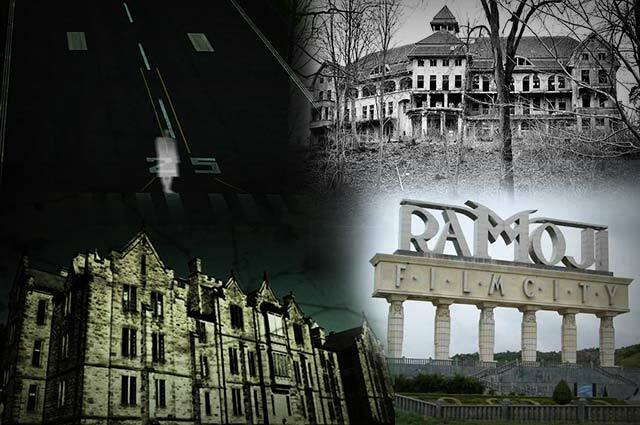 Today, this studio of Ramoji Film City, which is the main center of tourism and is quite popular for its ghosts and history. It is believed that the souls of the soldiers killed in the battle of Nizam Sultan’s history era wanders even today, which makes a lot of trouble for the light man and the actors who work here, such as the falling of the lights, the doors of the dressing room closing itself, the look of the strange shadows, the bathroom doors closed automatically, writing something in Urdu on the mirror, listening to strange voices that give realization of supernatural powers, the souls living here are especially troubled by the women, so many measures have been taken to get rid of them, but there is no difference. There are many such incidents even today. Ramoji Film City, which is famous for its technique and vastness, has become a topic of discussion among people today. The workers living and hesitate to work here, because the Light man has been seriously injured several times while working here. This has led to a decrease in its fame. In spite of such vastness and high tech, there is still something happening on this day, which gives the impression of supernatural power. There is a strange thing that, despite all this, there are more than a million people coming every year to roam only. All these phenomena there and the working laborers did not just feel, but many times they saw those souls as shadows. In fact, it will significantly decrease them all. Good post. I be taught something more difficult on completely different blogs everyday. It can always be stimulating to learn content from other writers and observe slightly something from their store. I’d want to use some with the content material on my blog whether or not you don’t mind. Natually I’ll give you a hyperlink in your net blog. Thanks for sharing.